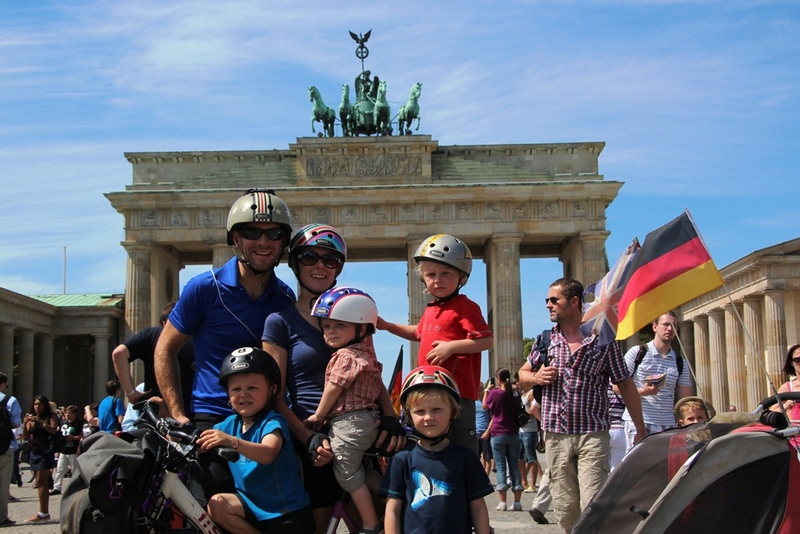 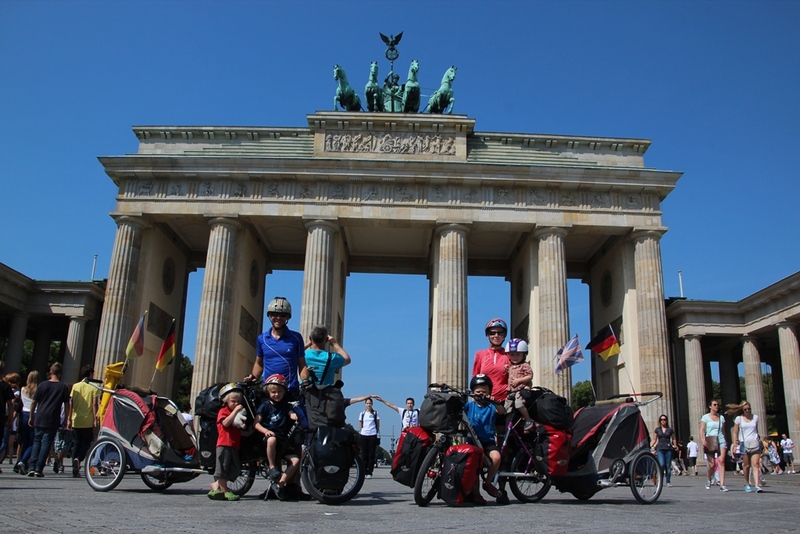 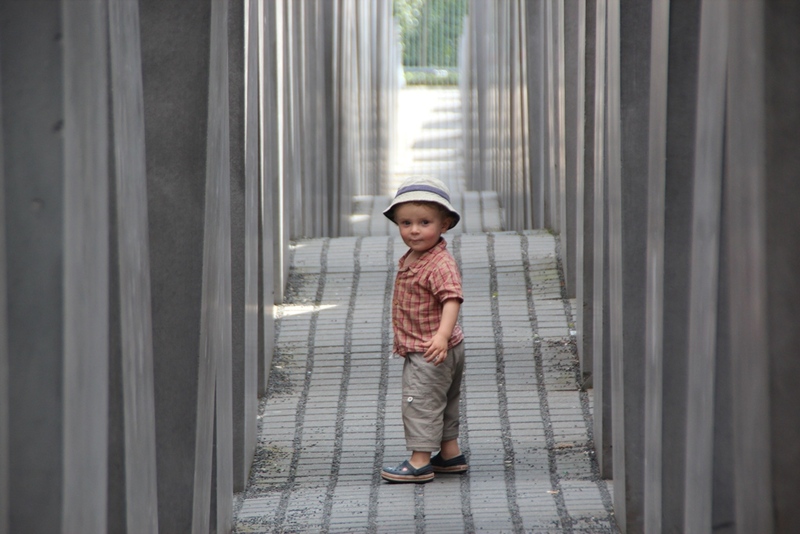 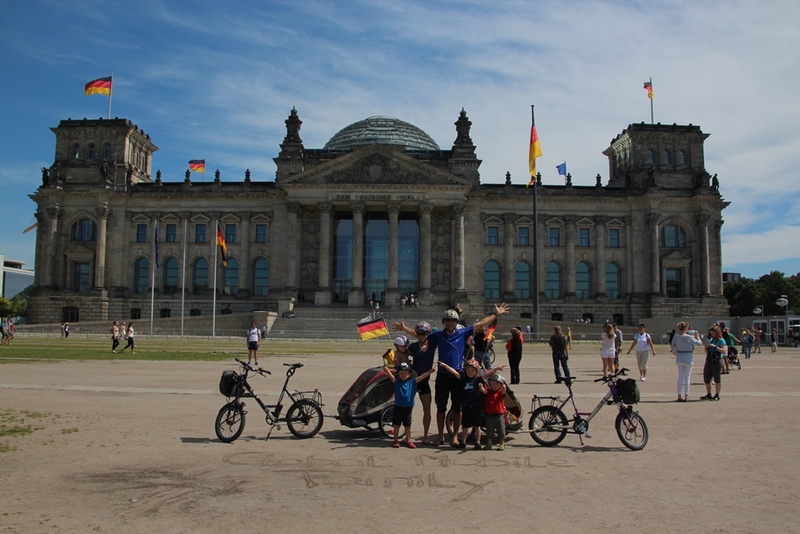 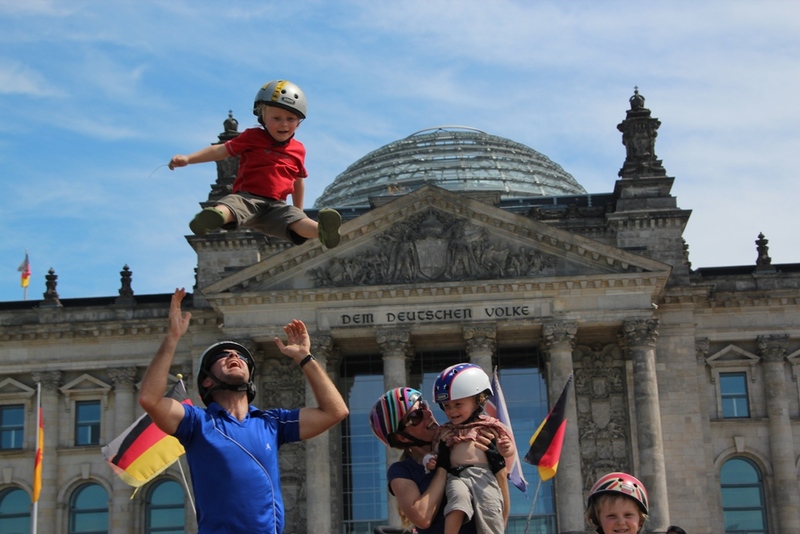 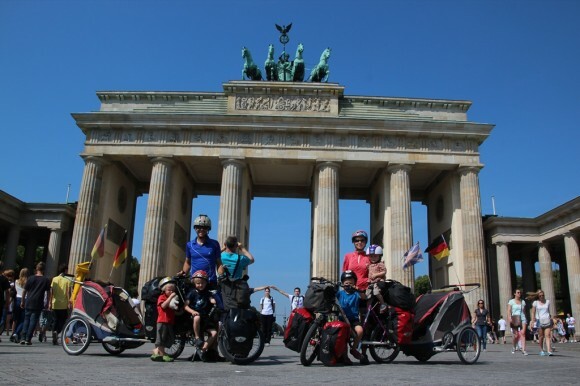 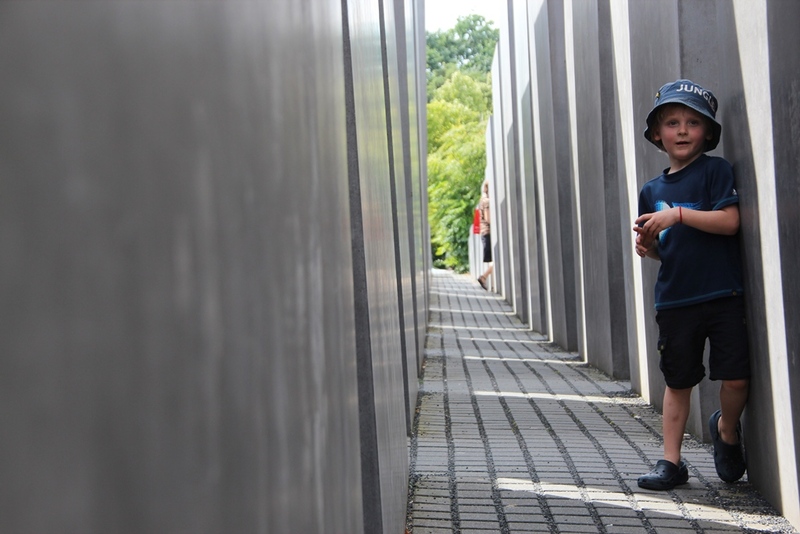 Taking a shortcut up into the Reichstag – Hey Turis! 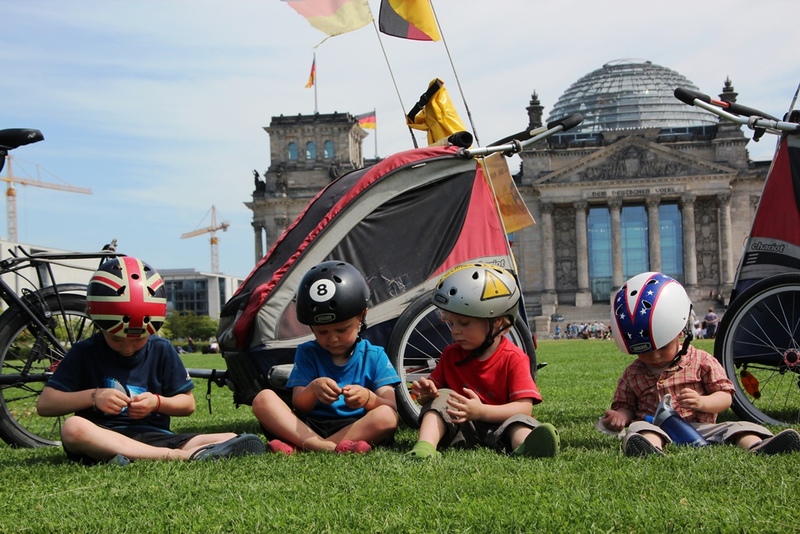 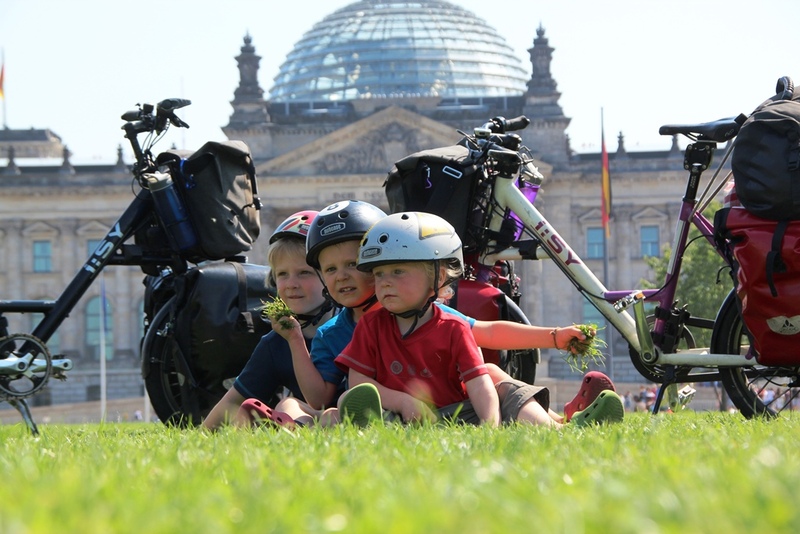 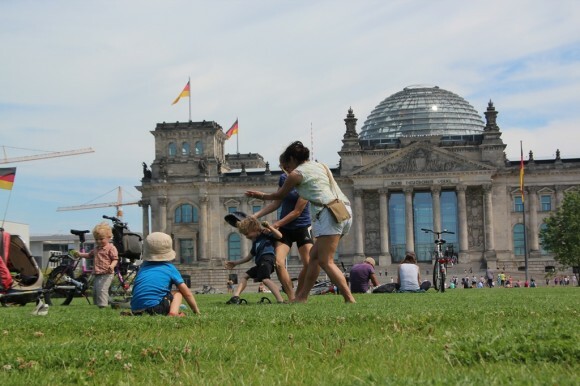 Making clover chains and playing grass fights outside the Reichstag with our fun friend and host Dee. 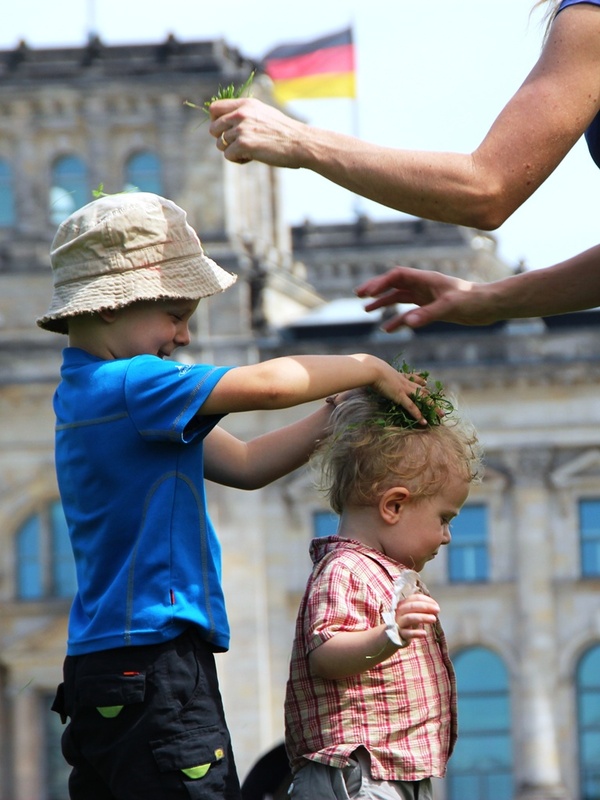 The grass won’t need cutting this week! 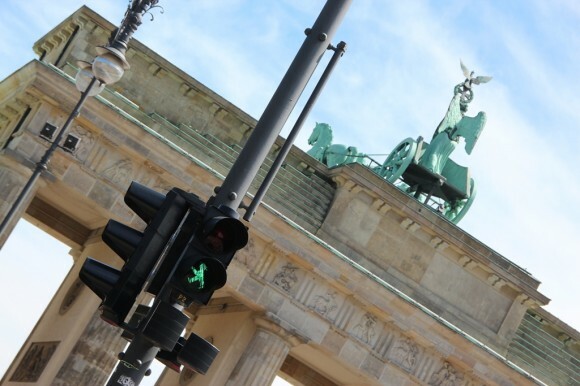 The old East German style of traffic lights – where the man has a hat on. 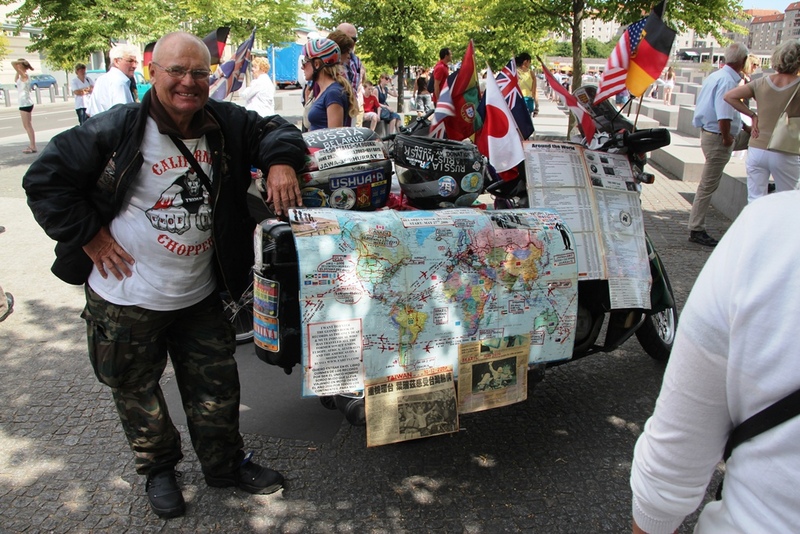 Imagine not being able to hear or speak and riding 850,000 km around the world alone on a motorbike with Samsonite cases attached to each side to carry your luggage. This is one for The Guinness Book of Records! 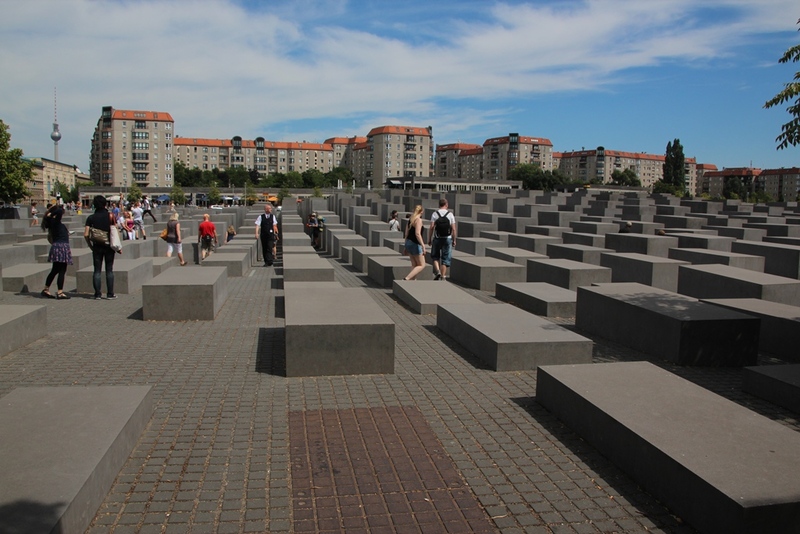 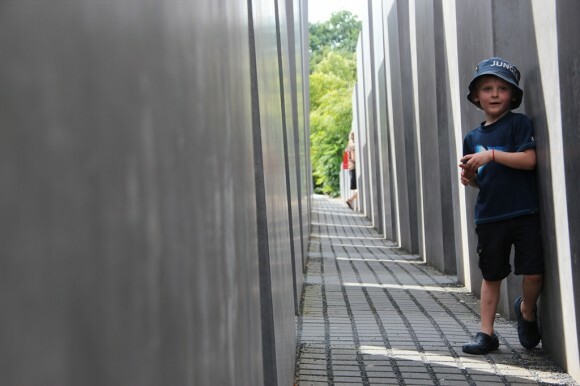 In all it’s magnificent simplicity – darkness and light act as a powerful reminder of the tragedy of the Jewish people. 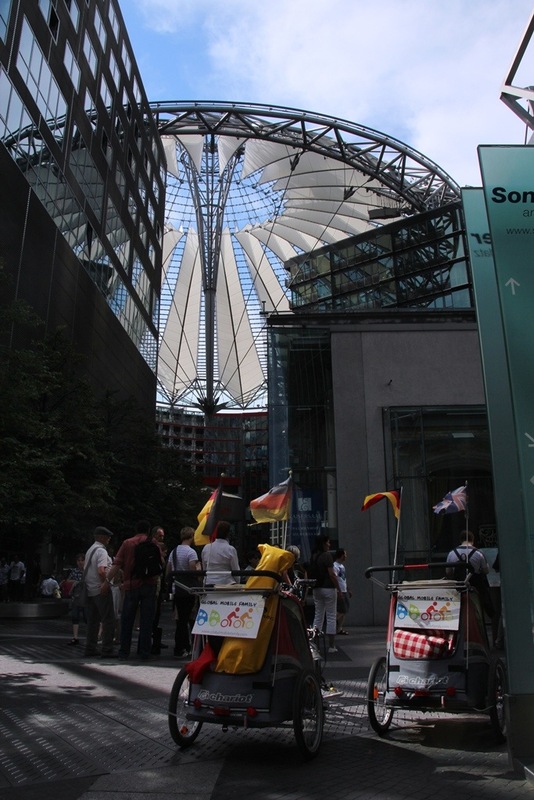 Impressive that the Potsdamer Platz was once Europe`s biggest construction site. 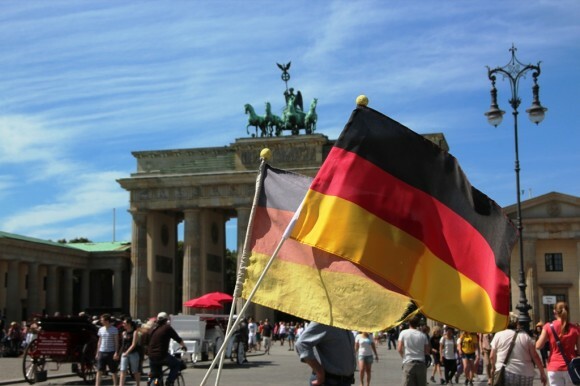 With our well traveled flag. 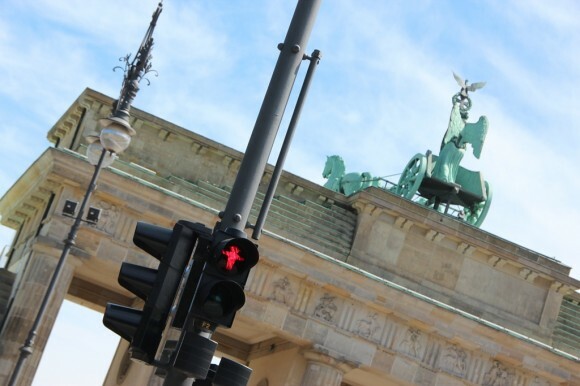 Apart from the spectacular Brandenburg Tor, zero chewing gum on the station floor and getting a stern telling off for going into a shop through the exit serve as a couple of reminders that we are in actual fact in Germany again!